Lower White Tor sits in a bit of a depression and even at this height, with high ground all around you feel surrounded slightly. 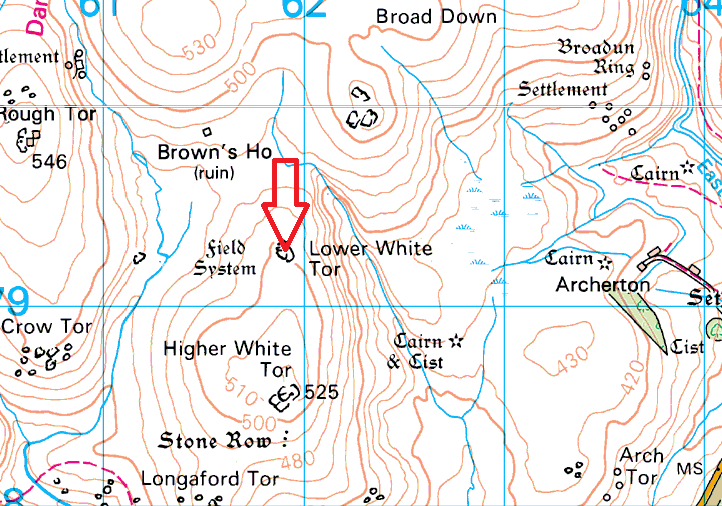 You have Rough Tor to the north and west, Higher White Tor to the south and the Beardown Tors south west. 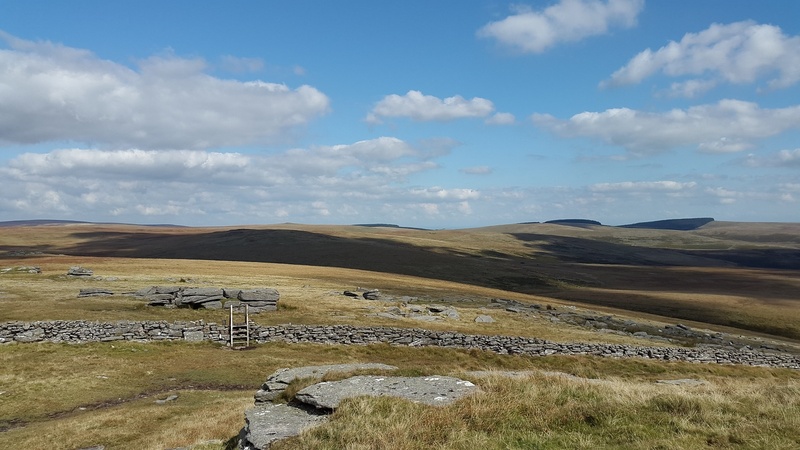 It is only really eastwards that you get any long distance views and part of that is blocked by Broad Down. 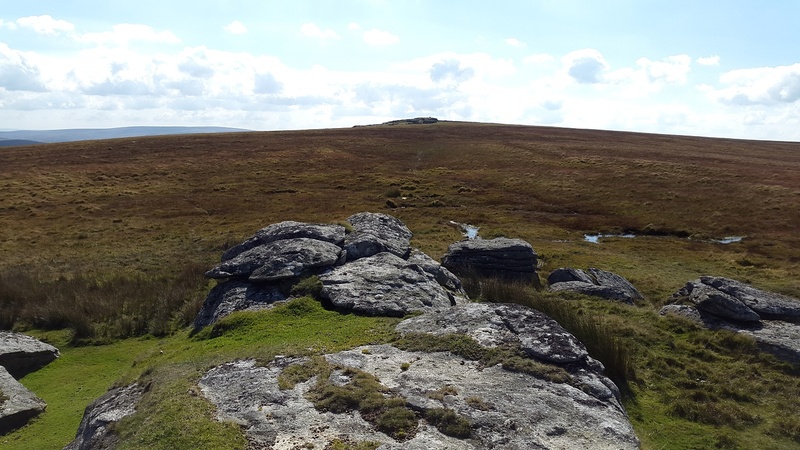 Lower White Tor sits near to the Merrivale firing range which starts at Rough Tor so beware of the flags. 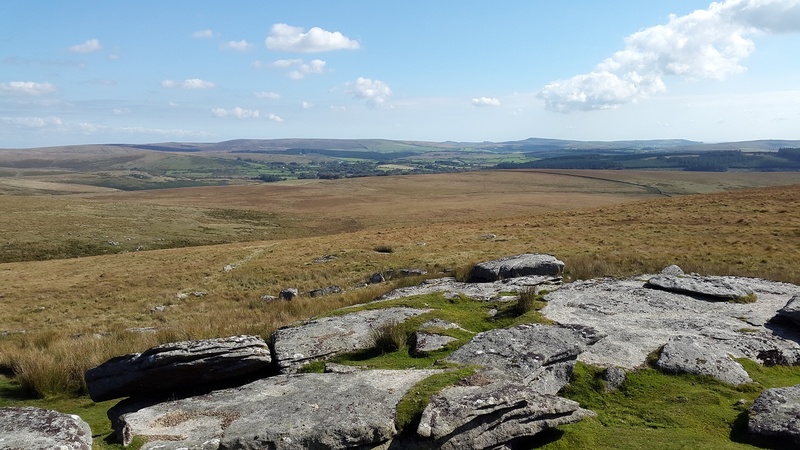 View northwards from Higher White Tor, in the distance on the right is Sittaford Tor and Fernworthy Forest with Lower White Tor beyond the stile on the left of the picture.